Many people today are not aware that “branding” is an archaic concept. For example, over 2000 years ago, people were known to have branded the leather and porcelain products they produced, while others branded their cattle. And, because most people were illiterate, small papyrus signs would feature painted symbols, designating products for sale. Around the time of the Middle Ages, hand bills had been created to promote the sale of products or brands. It wasn’t until the 1990s that the term “branding” became a big deal. And, of course today, advertisements and campaigns are global, spanning just about every electronic medium. According to Entrepreneur.com, “Branding is a marketing strategy that involves creating a differentiated name and image — often using a logo and/or tag line — in order to establish a presence in the consumer’s mind and attract and keep customers.” Clearly, there is a difference between being a brand and being a sole item for sale. For instance, Chick-fil-A® is a brand, but it offers numerous products. Coca Cola® is also a brand, with an enormous product line and so on. Years ago, Alka Selzer® used to promote or brand their product through the use of a jingle, “Plop, plop, fizz, fizz, oh what a relief it is!” Everyone knew what the product was, even if the name was never mentioned. Bounty® paper towels are another good example of a popular tag line, “The quicker picker upper.” Good jingles and tag lines can go a long way in establishing a brand, as long as they truly pertain to what the product does. The goal is to get the thought or idea into the mind of consumers. Therefore, it must be creative in order to be memorable. Brands do not just include products; they can sometimes be people. For instance, some celebrities are considered brands. Ralph Lauren®, for example, is the designer’s name, hence, the clothing line is named after him. Many movie stars and athletes also have their own brands. Oprah® is another famous brand. In fact, she has a television network named after her. When a company establishes a brand, it creates a niche or a differentiated existence in the marketplace. It is then that specialness which causes a brand to stand out among the competition. Advertising and marketing agencies, such as Buzzazz, strive to craft unique brands for their clients, and then target the campaigns across various social media platforms. One final thought as the Presidential election heats up, slogans, such as Make America Great Again implies a positive change in the minds of voters, in other words, something they can remember – like a brand. In fact, this particular tag line used by Donald Trump’s campaign has been a launching point for additional mottos: Make America Safe Again and Make America Work Again. These clever tag lines are memorable and seem to resonate with voters, verses Hillary Clinton’s; I’m with Her campaign, which does not tell the voter anything. 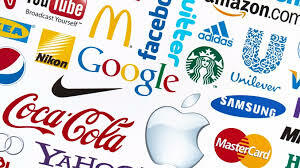 In conclusion, skillful branding is vitally important for companies and individuals, if they want to be successful. Bear in mind, if a concept or brand is too difficult to grasp, chances are, the consumer will not have the recall to go and purchase the product or service. In contrast, if the brand is a hit, such as McDonald’s, You Deserve a Break Today or Allstate’s, You’re in Good Hands…®, the customers will come in droves. However, to keep those same customers coming back, the firm must provide great products and/or services.